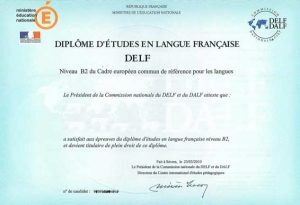 DELF (French Exams) - Alliance Française Albury-Wodonga Inc.
Diplôme d’Étude en Langue Française (DELF) is a diploma in French as a foreign language which is recognised worldwide. All French Language students are welcome to take the exams should they wish to obtain the qualification. Exams are at various levels based on the lesson levels taught in classes. Discuss with your teacher as the the most appropriate level for you. Albury is a registered centre for these exams – one of only two in Australia outside the capital cities. Exams are held in November each year. Cost for exams is between $200-$250 depending on level attempted. 2018 exams will be held on Saturday 3rd November at 9am at Trinity Anglican College (Thurgoona) – cost will be $200 for A1 and A2 exams and $250 for B1 and B2 exams.